Clover Creek is on Highway 87, north of Payson. It's more of a walk along a creek than a trail. The trail ends about two and a half miles in, but you can keep bushwhacking for much longer. It's slow going, though. 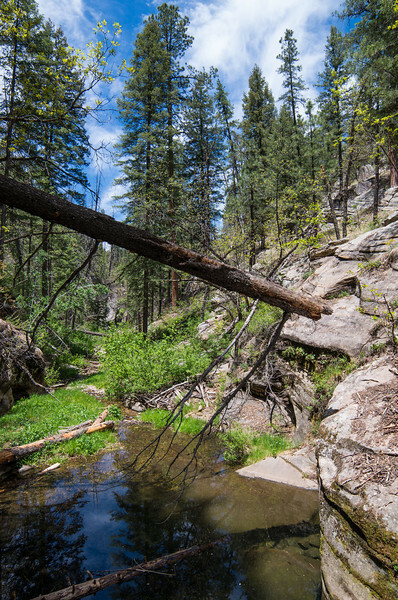 The trail is in the West Clear Creek Wilderness. It should be obvious why it got that name.